Fowl Territory | Back Page | Style Weekly - Richmond, VA local news, arts, and events. The debate has come to Richmond somewhat late, as many things are wont to do, but it's here, and in full swing. It would strike people of earlier generations as an odd thing to even have to talk about, yet be that as it may, many are now arguing for it just the same: legalizing backyard chickens within the city limits. The city allows chickens on properties only with at least 1.15 acres, and the animals must be kept 200 feet from property lines and 500 feet from houses, which disqualifies most Richmond residents. Having formally decided to review the policies regulating backyard hens, City Council would do well to consider a few facts about domestic fowl, which popular perception has distorted. The most frequent complaint lodged against backyard chickens is that they're noisy critters, given to great bouts of clucking and squawking, as well as that infernal crowing in the morning, hallmark of every pastoral paradise and idyllic farmscape. Laying hens don't crow, of course, only roosters do, and given that roosters are unnecessary for hens to lay eggs, it's doubtful anyone would want the additional hassle of keeping one around, because roosters are notoriously aggressive and protective of the eggs over which they preside. As for the laying hens, they too make noise, but no more than your average robin or sparrow, and a great deal less noise than a flock of robins or sparrows. Strangely, nobody's called for laws outlawing flocks of birds, though surely it's crossed someone's mind at some point. It's doubtful that you could hear much from a half-dozen chickens in a fenced yard. If a person is grievously injured simply because he hears a mild clucking from next door, he has much bigger problems to deal with than the chickens, and no city law will be able to help him. Chicken waste, too, seems to be another fear that manifests itself whenever the debate is brought up. Opponents of backyard chickens are given to visions of mountains of chicken crap overflowing from the city's backyards, or of a poisonous, chicken-fueled runoff that seeps through the watershed, travels downstream and kills off the few remaining fish still alive in the Chesapeake Bay. In truth, the average backyard or lot has more than enough land space to handle the manure of five or six chickens. The great runoffs come from the enormous factory operations containing tens of thousands of chickens on very small slivers of land. It's likely that nearly all backyards in Richmond are perfectly equipped to absorb a small flock's waste without damaging the environment or causing a stink. You'd have to be running dozens and dozens of chickens within your fences to get noticed. Five chickens will not hurt the earth, and they'll be virtually impossible to smell. There's also the practice of deep bedding, wherein the chicken run is filled with several inches of straw; the chickens' droppings go into this bed and are captured by the straw. 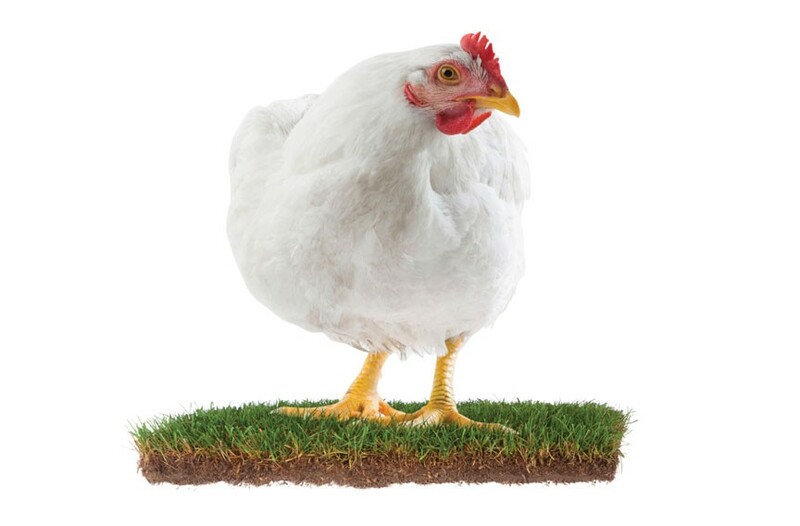 Chickens break the straw down with their incessant scratching and pecking, and after about a year or so, the straw has turned into a rich bed of manure, which can be used to fertilize the lawn or garden. Straw beds keep chicken droppings from decomposing into the ground, the scratching eliminates any odors and you get free manure to boot. Who could complain about this, or act as if it isn't a win-win for both the backyard farmer and the environment? Still, many people remain apprehensive about living next door to chickens. In a sense, who can blame them? Plenty of people have driven past those industrial chicken plants in the country and been repulsed by the stench. Yet those factories are very extreme examples, and surely City Council must know this. In reality, keeping a few chickens at home to eat leftover kitchen scraps in return for eggs is a painless, odorless and very rewarding thing to do. Indeed, were the anti-chicken folks to be taken at their word, then the council would be perfectly justified in outlawing dogs within the city, which are much noisier than chickens and often are as smelly as people believe chickens to be. And dogs don't lay eggs, so their presence can't really be justified by utility. Daniel J. Payne is a Richmond-based freelance writer.